We have all been influenced by Hans Christian Andersen’s Fairy Tales and Stories. Who does not know the story of the ugly duckling or the tale of the princess and the pea? And many many more. Those stories exist deep in the heart of our collective consciousness. And, what is more, for profundity and ultimate truth, there is no short story ever written that can compete with ‘The Emperor’s New Clothes’. Some say that it is the greatest short story ever written. In a few pages, Hans Christian Andersen illuminates the themes of ambition, hypocrisy, vanity, cynicism, and innocence – all in the form of an amusing and seemingly simple children’s story. The sources of Andersen’s stories were mainly Danish folk tales which he read in the works of J.M Thiele, Bernard Ingemann and Adam Oehlenschlager, who collected folk tales and retold them. They were scholars, whose aim was to preserve them but it was the creative writer, Andersen, who immortalised them by transforming them into fiction that fully engages the reader and captures her imagination. Other sources were mediaeval European literature, ancient poems and the fairy tales of German Romantics, Heinrich Hoffman and Adelbert von Chamisso. Andersen’s collection brought the fairy tale into the modern idiom and he can arguably be seen as the father of the modern fairy tale. The first original tale, ‘Little Ida’s Flowers,’ is an elaborate combination of the ordinary and the fantastic, ‘The Steadfast Tin Soldier,’ animates the realm of toys – everyday items in children’s bedrooms and playrooms. Several stories include everyday items as actual characters – items such as a collar, a silver penny, a darning needle etc. They are the forerunners of the stories that animate a child’s surroundings, and with which children are so familiar, as they read their modern books and watch children’s films today. Some of the most popular children’s writers, like Enid Blyton, and the most popular films, such as ‘Toy Story’ with its immortal toy protagonist, Buzz Lightyear, routinely animate toys and other household objects. That is one of Andersen’s major innovations and has had that huge influence. The impact of this collection of stories on children’s literature is incalculable. The tales are translated into scores of languages and the most famous characters in them, such as the Little Mermaid, the Little Match Girl, the Tin Soldier and the Ugly Duckling, are well-known around the world. There are picture books, films, plays and operas, and Andersen has himself been portrayed in theatre and film. Children’s writers have paid tribute to the tales, which still stand as great models and the source of inspiration for them. 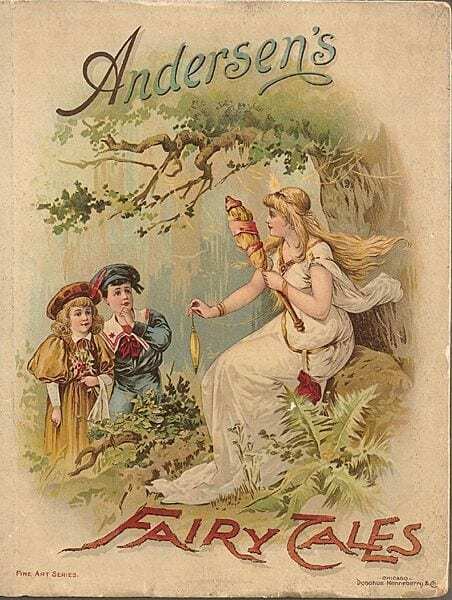 Andersen’s birthday was April 2 and International Children’s Book Day is celebrated on that day in his honour.